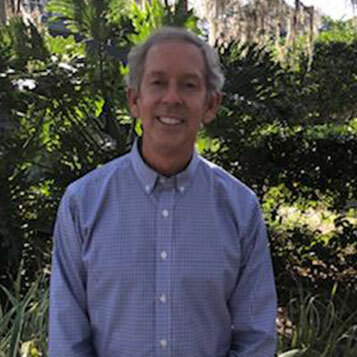 Dr. David Harden was born and raised in Orlando and received a Bachelor of Science in biology from Oral Roberts University in 1982. Then he attended the ​College of Dentistry at the University of Florida, where he was awarded his Doctorate of Dental Medicine in 1986. Since completing his formal education, Dr. Dave has continued his education in cosmetic and implant dentistry in order to give his patients the most choices and the best results when it comes to treatment, and a better overall experience in our office. He is also a member of the American Dental Association, Florida Dental Association, Central District Dental Association, and Greater Orlando Dental Society. Dr. Dave has been married to his high school sweetheart, Patricia, since 1985. They have four children: Their oldest is their son Scott, next is daughter Kelly, and two younger adopted Chinese daughters, Hannah and Leah, as well as a menagerie of pets. In his spare time, Dr. Dave enjoys fishing, surfing, and other water sports, tennis, and spending time with his family.